Wolfe Roofing & Sheet Metal, Inc. is the largest industrial and commercial roofing contractor in Berks County, Pennsylvania, USA. The Company was founded in 1973 by Daniel G. Wolfe, Carl Luppold, and Gary D. Wolfe. The Company has grown from 5 employees at inception to over 80 employees today. It is our mission to provide our customers with the highest quality craftsmanship and materials at a reasonable and fair price. As evidenced by the testimonial letters we receive, our customers often compliment us on our on-time performance, professionalism and the high quality of our work. We serve Pennsylvania primarily, in the areas of Berks, Bucks, Center, Chester, Dauphin, Delaware, Lancaster, Lebanon, Monroe, Montgomery, Northampton, Philadelphia, Schuylkill and York Counties. Wolfe Roofing is a commercial roofing contractor that specializes in roofing for warehouses, malls, schools, shopping centers, and medical facilities. We have extensive experience in applying roofing, architectural sheet metal, waterproofing, and metal decking. In 2015 Wolfe Roofing was acquired by Tecta America Corporation. 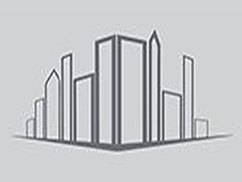 Tecta America Corporation has grown to over 70 locations nationwide becoming one of the largest roofing contractors in the United States and is an approved applicator of GAF, Johns Manville Carlisle, and Firestone and all other major manufacturers roofing material. Jeff has been in the industry since 2007 and joined us in 2015 following an acquisition. 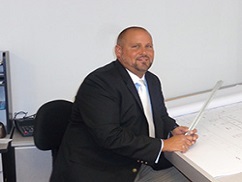 He is responsible for the overall success of Wolfe Roofing and Sheet Metal. Shelly has been in the industry since 2000 and with Tecta since 2015. She currently estimates, schedules crews, safety training, sales and follows-up with customers.